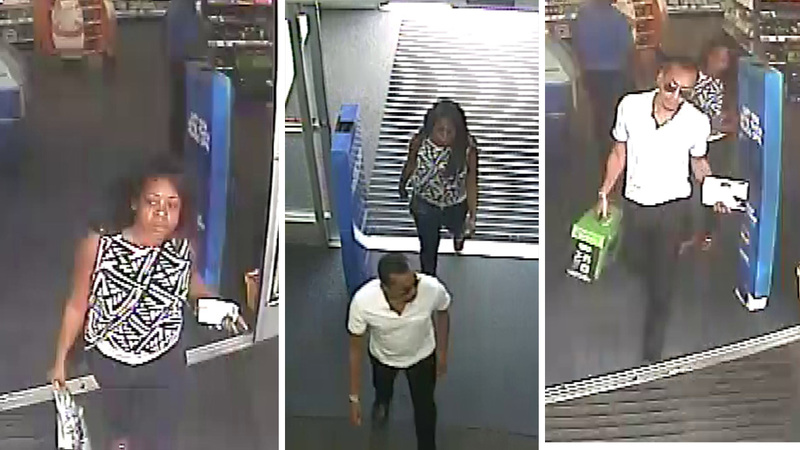 HARRIS COUNTY, TX (KTRK) -- Two people caught on surveillance camera allegedly charged thousands of dollars in merchandise to credit cards attained using a 23-year-old woman's identity. Now Harris County Sheriff's deputies want them behind bars. The accused identity thieves appear in surveillance images after going on a shopping spree. Sheriff's deputies say the two charged over $7,000 in merchandise using the stolen cards, mostly used to buy high-end electronics and computers. If you know these suspects, you are urged to call Crime Stoppers at 713-222-TIPS. Crime Stoppers will pay up to $5,000 for information on these suspects. You will remain anonymous.